Video clips from broadcast 1:43 (1.6 MB avi divx), Sound bites from broadcast, more TV screen shots. Morning Report aired 5 April, 2005. 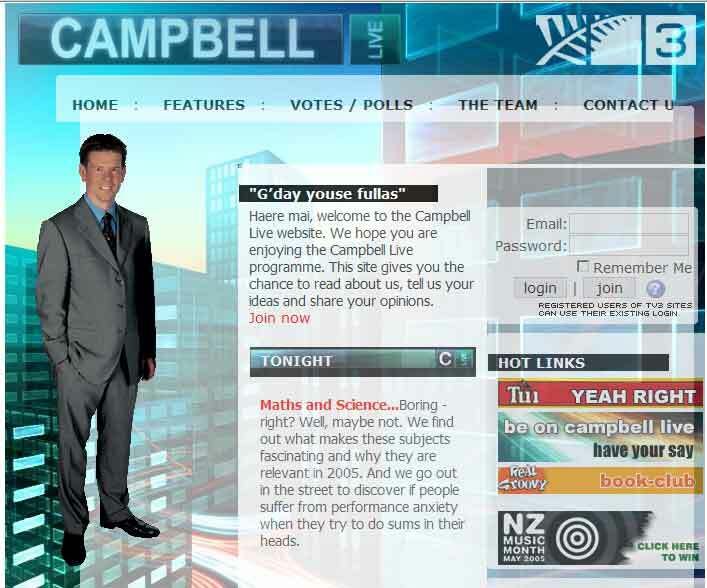 In Touch with NZ with Wayne Mowat aired 15 November, 2004.